Two school-years ago, I had this grand idea to send my four school-age kids’ teachers a home-made goodie each month. Three elementary teachers, seven high school teachers. My oldest son’s teachers were shocked that a student would bring them a goodie (mini pecan pies that you can click HERE for the recipe) on the first week of school, so his action made quite an impression. Sadly the boy decided taking baked-goods to school was rather embarrassing. Uggh. High schoolers. His teachers only benefited one month. You saw that coming a mile away. LOL. Get this, it has the main recipe on a page then two other pages with “tags” for six gifts. The concept, if you aren’t familiar, is layering the ingredients in the jar. I've received gifts from a jar in the past, but have never given any myself. Put on lid, tighten. 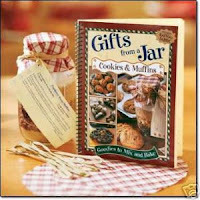 Cover the top of the jar with cute fabric and attach the gift tag recipe with raffia or ribbon. Granted the gift receiver will still have to add to the ingredients items (in this example, butter, buttermilk, egg, and vanilla) to complete the recipe. But what we’ve given is only the beginning. It's up to the gift receiver to do something--or nothing--with the gift. Life is a gift from a jar. As parents, we invest in our child’s life by equipping her/him with the skills, education, and moral values s/he needs. But it’s up to our child to decide what s/he’s gonna do with those “gifts.” Sit on the shelf and expire? Or use the for what they were created for, by adding to them items that will help create a yummy, gooey batch of Rocky Road brownies. Metaphorically speaking. God did the same for us. Only His gift was full and complete. Still it’s up to us to decide what we’re going to do with it. Add to it? Let it sit on the shelf? What this treasure? The Gospel of Christ. That we can find freedom and forgiveness from our sin and have an abundant life. In Jesus. Though Jesus. Because of Jesus. According to Merriam-Webster, abundant means, "1: a : marked by great plenty (as of resources), b : amply supplied : abounding, and 2: occurring in abundance : ample." Plentiful. Bounteous. Cornucopian. Galore. Generous. Plenty. Can you--can anyone around you--look at your life and say that Jesus is overflowing in your life? Or would people say you've put a lid on and decorated it with an In-the-World-Not-of-the-World-so-I'm-not-getting-involved swatch of fabric? I think God also wants us to add to the ingredients in our jars. I'm not saying we add to our salvation so we're more saved or to ensure we stay saved. 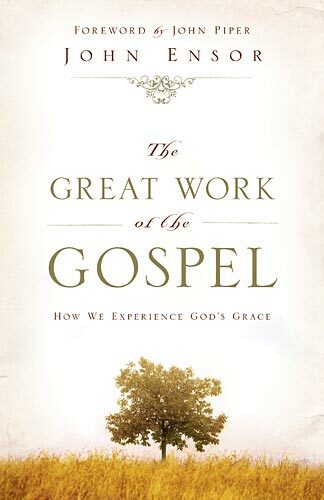 Salvation is a gift from God, not of works so that no one could boast about his/her goodness. No, I'm talking add to who we've become so we can become more. How do we do that? The easiest answer is "read your Bible daily and spend time talking to God; get to know Him." Amen! Now those were all with a group of ladies. A few times the Bible study options weren't ones I was interested in taking or couldn't because of the timing. So I went to Lifeway and found studies to do on my own. No support group. Just me and God. Yes, it took me three studies to finally learn the message. Confession time: As I was looking though my stack of Bible Study books, I found two I'd bought and never done. Eeks! At various times in my life, my jar has felt depleted. Empty. I have nothing more to give so leave me alone. When God didn't fill me back up with a Bible study, He used books to speak to needs, flaws, and scars in my life. To bring healing. God created us to be vessels though which He accomplishes His work. But we will have nothing to give others if we don't have anything in our jars...or if we put the lid on...or if we take the gift we've been given and let it sit on a shelf to expire. You are a jar. Lemme say that louder. Take time to be filled. Becuase you were made to be filled. Because God wants you to overflow. So you can be a gift to others. So you can fill others. Serious Question of the Day: Like doing Bible Studies? If so, name a favorite one and a life-changing truth God taught you through the study. How is your life changed? Quasi-serious Question of the Day: Got any inexpensive gift ideas for this holiday season? Non-serious Question of the Day: I'm making lined-fabric sandwich wraps for my kids' school lunches. If I made baggies, should I attach velcro to seal them closed or sew on tie strings? A number of years ago, I did a few studies by Jill Rhodes of Grace and Glory Ministries. These were tape/book studies. Jill is a real student of the Bible and many times, as I listened to her speak, I would think to myself, "Is that in the Bible? I don't recall that." Then I would grab my Bible, read the passage -- sure enough, it was there!! Jill has an amazing way of explaining how the Bible fits together and how it all applies to today too. While I can't cite a specific lesson, I know I was deeply challenged by her teachings. I think I could take about a day for each part of this post! So much to think about. Welcome, Elaine! I love it when a Bible study teacher reveals a scripture that we'd probably looked at and never gave second thought to. Thanks for sharing about Jill. I'll have to look into her studies. You're so sweet to find so much interesting in my post. Funny thing is I knew how I wanted to begin my post (gifts from a jar), but where it ended kinda surprised me. I thought I was gonna transition into spiritual gifts. I don't just want the cardamon cookies. I want to make every recipe I shared. It's been years since I had Amish friendship bread. Yumm! Great post, Gina! Loved it. Love the recipes, love the analogies, love it all. I think I caught my son's cold. Ugh. Ok, back to the post. Yes, I like doing Bible studies and Beth Moore studies always knock my socks off. 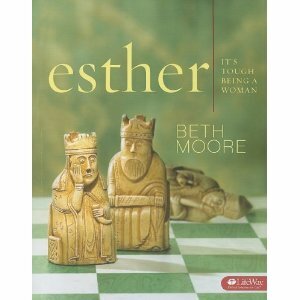 I haven't done Esther yet, but I need to pick it up! One inexpensive thing I do for Christmas is to supplement the gift for each kid on my list with an ornament. They may not get excited but I put love into them and by the time these kids are grown they'll have a start for their own trees. I have sewed angels, decorated mini soccer balls, and made little drummer boy drums out of starched cheese cloth and aerosol caps! I'm not as crafty anymore and sometimes pick out special gems at the store, but I think it's fun. Gina, I don't know what to do about your sandwich bags. I like the idea of untying a string, but my kids love velcro. Loved this post Gina. I actually just finished the Beth Moore Bible Study on Esther and now we are as a Ladies Bible Study at Church doing a study called Being a Woman of Beauty by Dee Brestin and we retouch on a few things from the story of Esther. I love doing Beth Moore bible studies, too. You've got quite a list, Gina but right now I'm thinking about home-baked treats. Looking forward to your book review tomorrow as well. Susanne, I haven't ever made Christmas ornaments, but one craft/gift I want to do this year is make fabric wrapping backs. Or get my mom too and have her embroider each kid's name on it. Fabric bags of various sizes are nice to have on hand. I did see a pattern on how to take old t-shirts and turn them into recycle grocery bags. 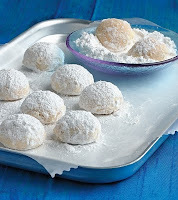 I'd like to make some. I cleaned my office enough to find my bag of fabric and lining material. Velcro or ties will depend on what I find in my sewing container. Being a Woman of Beauty by Dee Brestin sounds like a good study. I'll have to look into it. Deb, I'm thinking about home-baked treats too. Next month I'm doing a Self-Help post on $10 dinner meals: Are they possible? Okay, $10 for a family of 7. $5 for a family of 4. Can't remember what else I planned, but I found Duncan Hines cake mixes for $1 and Betty Crocker frosting for 44c. Well, I can make cupcakes and have desserts for two meals. That's about 75c of my $10 price goal. I have only done one of Beth Moore's studies (the one about the book of Psalms) and it was fantastic. The next ones I'm going to do are by Lisa Bevere. My vote on the fasteners: velcro. It seems like strings would get all tangled up in knots. Love the "I am a jar" thought!